The corporate landscape is sure to surprise the typical Filipino fresh graduate. 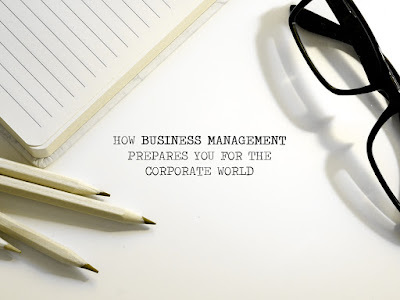 Enrolling in business management courses in the Philippines will surely takeaway the surprise factor and prepare you to enter the corporate world. Business management gives you a sneak peek to the life of people working white-collared jobs. How exactly it can help will be discussed in this article. A degree in business management will prepare you for a career in, well, business. It gives you a general idea of how a business is supposed to work, the hierarchical structure of different kinds of business, and even the possible culture of the work environment. The best part is that most business management courses in the Philippines use case studies of successful and closed down business. It makes sure that those studying the course will learn from the successes and the failures of those companies. In the business management courses, you will learn about the different theories and practices that are usually done by companies. These theories and practices will be further enhanced by internships and case studies that you will use once you enter the corporate world. During your first steps into the corporate world, you will be able to identify and see these theories in action. You will be able to easily understand and abide by the system of the workplace. An added bonus to being knowledgeable of the theories and practices is that you will know your place. The corporate world can be harsh for some people, but that doesn’t mean it always will be. To a child that wants to become a businessman, the corporate world is a haven, where nothing can possibly go wrong. To students who are taking up business management because they see it as the ideal way to secure their future, the corporate world is a future financial outlet. But for people who work in the corporate world, it can either be the place where you outgrow your immaturity by working hard and proving that you are one of the best in your role, or it can be a place where you feel uncomfortable or out-of-place. The corporate world is a place where few excel, while the others propel them forward. Business management majors are taught this not just to be aware of the situation, but to thrive in it. The earlier you realize that the corporate world is a place that needs discipline and hard work, the earlier and faster you will develop your career. Those who plan on entering the corporate world need to have three general things, knowledge of the internal structure of businesses, applications of business theories and practices, and realizations of what it is like being part of the corporate landscape. Once you have all these, all that’s left is to adjust and eventually thrive in it. I like the tips! Business management really prepares you well but not for all types of business. So you still have to choose carefully. Business management can teach you skills like how to handle clients, meetings, and other office needs.